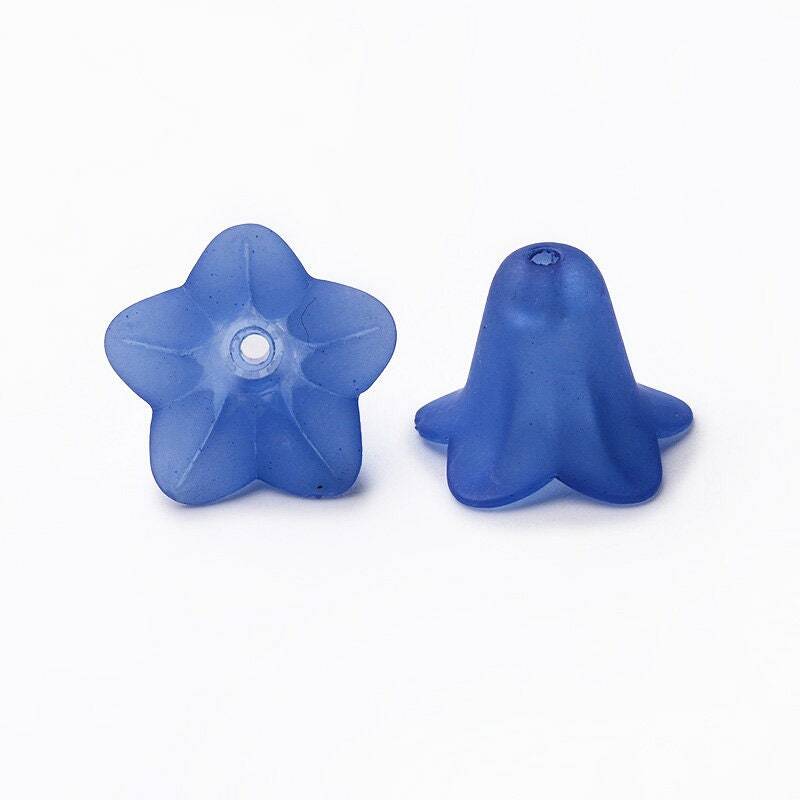 Lovely frosted acrylic sapphire blue color medium bell flower beads. 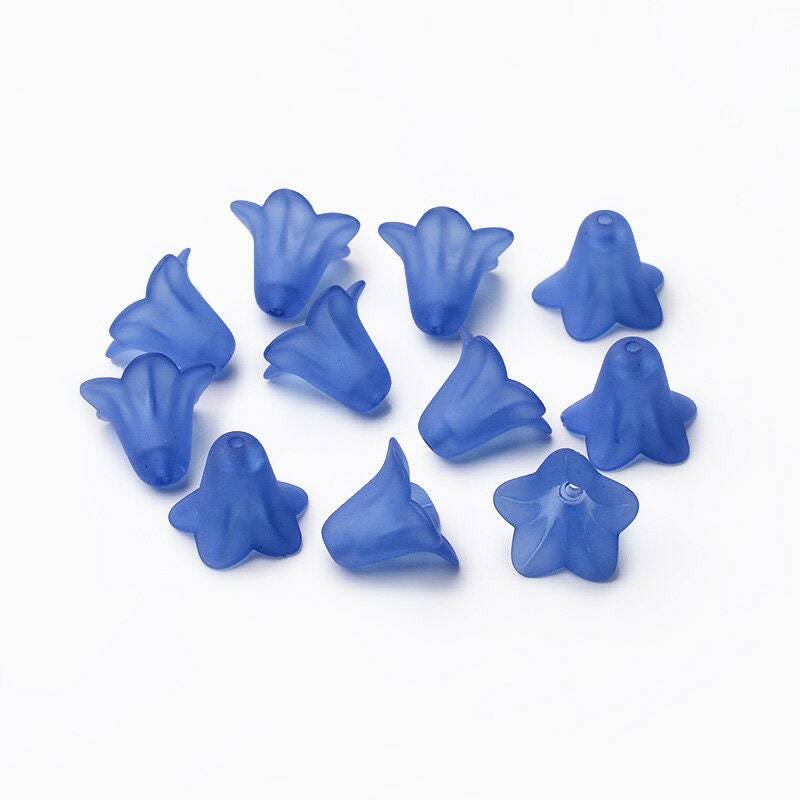 You will receive either 20 or 40 beads . 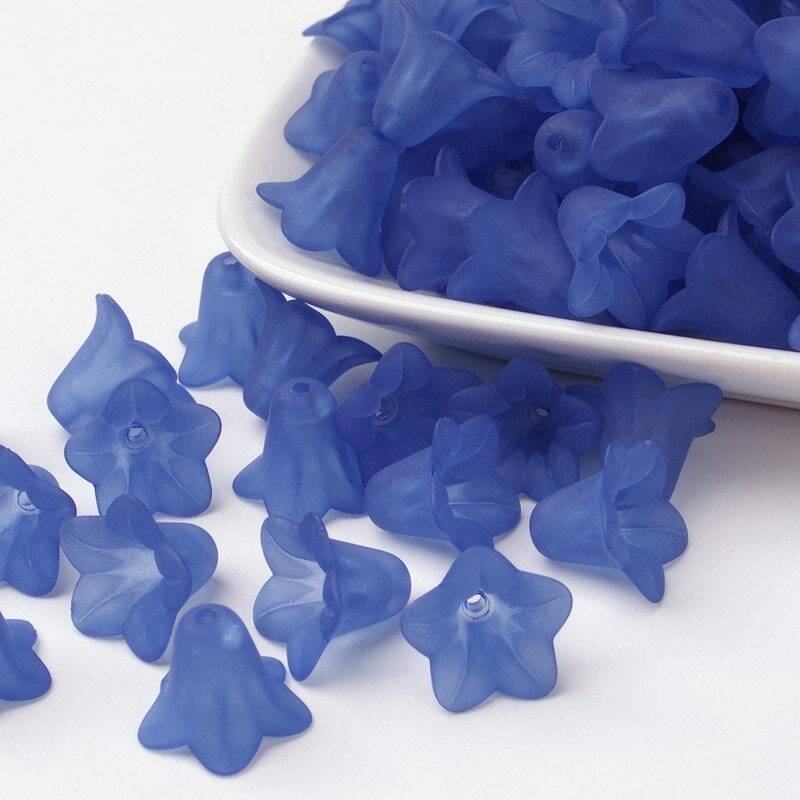 What a lovely color, just like bluebells! Ahh, spring will come again someday, won't it?